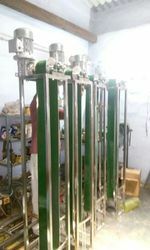 We “Geo Enviro Solution” are a leading manufacturer of “Single Belt Oil Skimmer of Capacity 35 LPH”. We are offering a very highly premium quality range of Single Belt Oil Skimmer. Our Range is known for its highly durable and robust quality. Our Range of Products is available at markets economically with superior quality. These are attached with Single belt in the oil skimmer and available in stand type. These Oil Skimmers are used for continuous removal of oil from any coolant, water or effluent. We strictly ensure that all our products are manufactured as per international industrial standards, incorporating latest technological developments and control with highest order of quality & performance. We “Geo Enviro Solution” are a leading manufacturer of “Automatic Bar Screen”. We are offering a very highly premium quality range of Automatic Bar Screen. Our Range is known for its highly durable and robust quality. Our Range of Products is available at markets economically with superior quality. Fouling needs to be cleared as often as possible with the help of a comb like structure. In the absence of combing, the bars will behave like a dam and cause the stream to overflow upstream of the screen. However due to operational requirements combing is often a frequent operation and needs to be carried out round the clock. The use of man-power has huge operational costs and is replaced by mechanically Automatic cleaned screens. We are among the distinguished manufacturers, traders and suppliers of Chemical Dosing Pump. 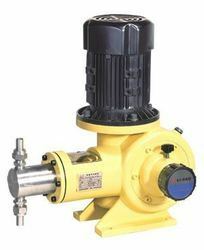 Widely demanded in chemical based industries, these efficient pumps are apt to be used with different chemicals that include acids, alkali, chlorine and anti-scalants. The proffered series is designed for injecting accurate controlled volumes of chemical additives into the process systems. We are a Leading Manufacturers, Suppliers & Service providers of Flocculator. Flocculator provides gentle agitation by slow moving paddles. This action serve to break up the mass rotation of liquid and promote mixing. The specially designed flocculating paddles enhance flocculation of the feed solids. Agglomeration of the destabilised colloids is achieved as a result of particulate transport in the flocculation compartment. Increased particle contact will promote floc growth and aids faster settling. We are a Leading Manufacturers, Suppliers & Service providers of Lamella Clarifier. 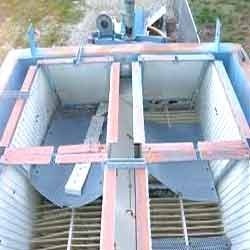 A lamella clarifier is a water treatment process that features a rack of inclined metal plates, which cause flocculated material to precipitate from water that flows across the plates. Inclined plate settlers or lamella clarifiers are primarily used in the water and wastewater treatment industries to separate solids from liquids in effluent streams. The clarifier is the third step in what is usually a four step process for water and wastewater treatment. In wastewater treatment the four main steps are collection and homogenization of effluent, pH adjustment, clarification, and sludge dewatering. 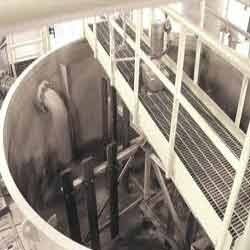 Conventional clarification equipment requires a much larger surface footprint in order to match the solids removal capacity of a lamella clarifier. This is accomplished because the effective gravity settling area of the inclined plate design is proportional to the total surface area of the inclined plate rack. Loading rates normally used for the design of conventional settlers can be applied to the sizing of a Lamella clarifier/settler by substituting projected area for the surface settling area of a conventional clarifier. 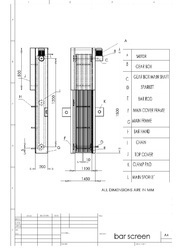 The compact design essentially eliminates any hydraulic disturbances caused by wind or temperature changes that may be problematic with conventional clarifiers located outdoors. Balanced flow distribution ensures equal flow to each plate and across the plate surface area, preventing short-circuiting. Units and plate packs arrive at the job site factory assembled which reduces installation time and lowers installed costs. Minimal moving parts means low maintenance costs. Looking for Water Treatment Equipments ?